Your #1 Source For Automotive Service Products! THERMAL OIL CHANGE STICKER PRINTERS! Call NOW to ask about Custom Lables! Now carrying Slip N Grip Seat Covers! 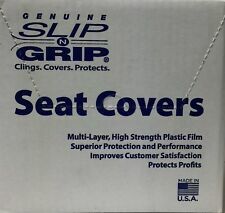 Protect your customer's interior by using Slip N Grip seat covers!